Step 1: Find and select the street name from the list below. Step 2: For more information regarding the zone classifications, you may access the Zoning Ordinance here. *Please note that the addresses, parcel numbers, and zoning information herein are meant to be used as a reference only. Information provided on this site is subject to change without notice from the City as a result of updates and corrections; further, updates and corrections may not be reflected in documents and materials contained on the site. If you have any questions, or believe any information on the site to be in error, please contact the Development Services Department at (530) 642-5252. Note: There are many vacant un-improved parcels within Placerville that may not have an assigned address. For parcels such as these and for other questions regarding zoning, you may call the 24-Hour Zoning Request Message Line at (530) 642-5595. Please leave your contact information, as well as the identifying Assessor Parcel Number or numbers for staff to research prior to returning your call. An alternative to using the City’s procedure above is to use the County’s GOTNET parcel inquiry web-based service. 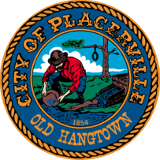 The City recently collaborated with the El Dorado County to provide the City’s zoning, land use and topological information on this County service. Other information available through GOTNET is flood zone information, aerial photos, etc. Click on the letter of your street name to find the correct information. *Indicates the street continues outside the City limits.